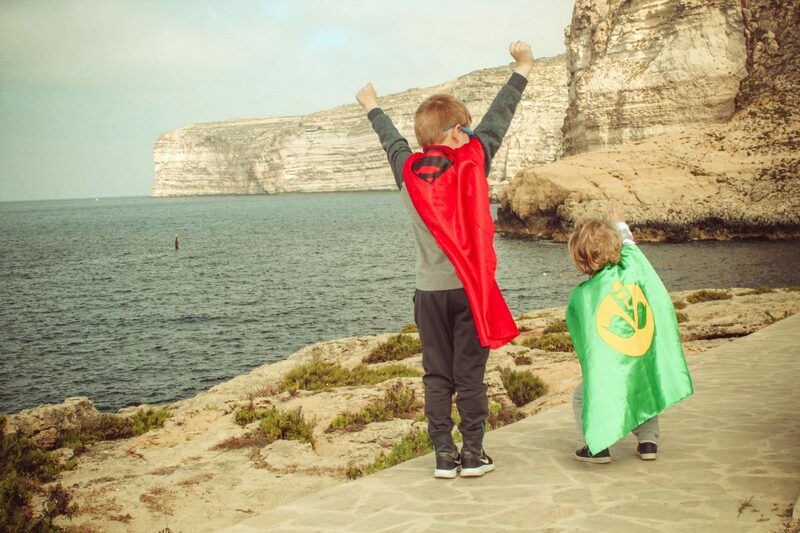 Top 7 things to do with kids in Gozo. 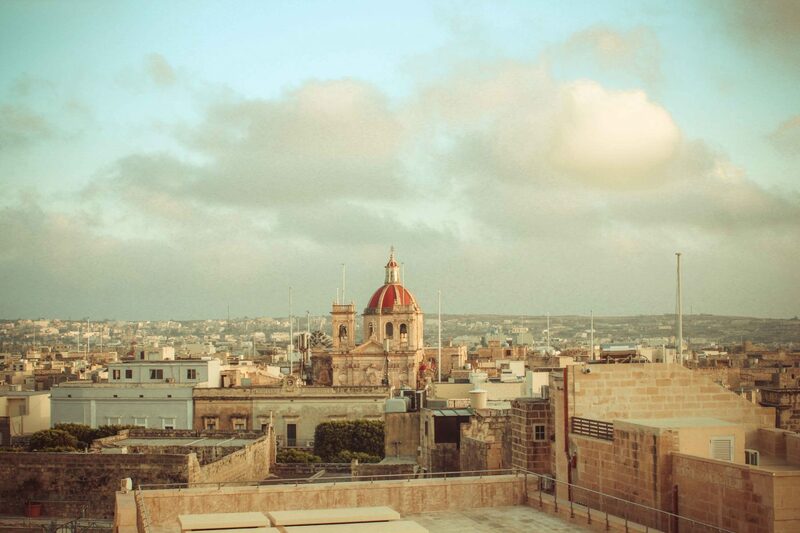 Gozo a little island of archipelago of Malta, that made us feel in love with it. We went to visit it in May. 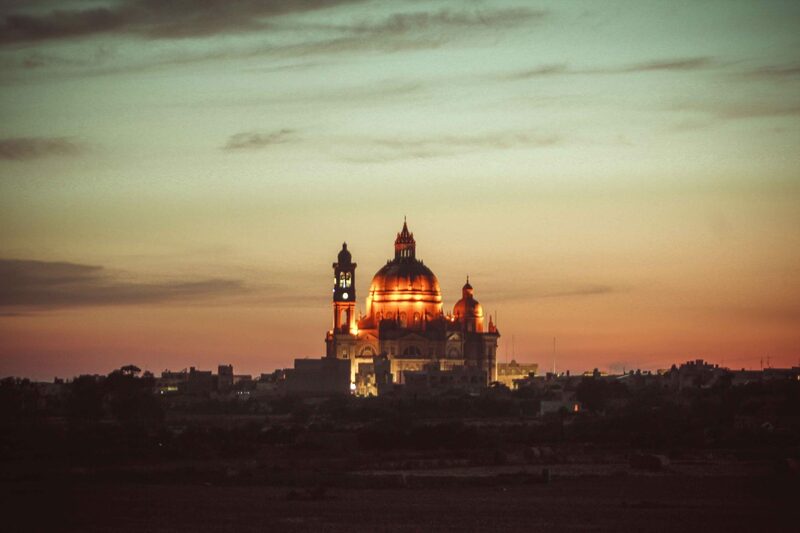 And here to say that spring is the season when Gozo discloses its full beauty. In May is warm enough by the day, maybe it is not perfect for a dip into water, but to discover the island is the perfect time. 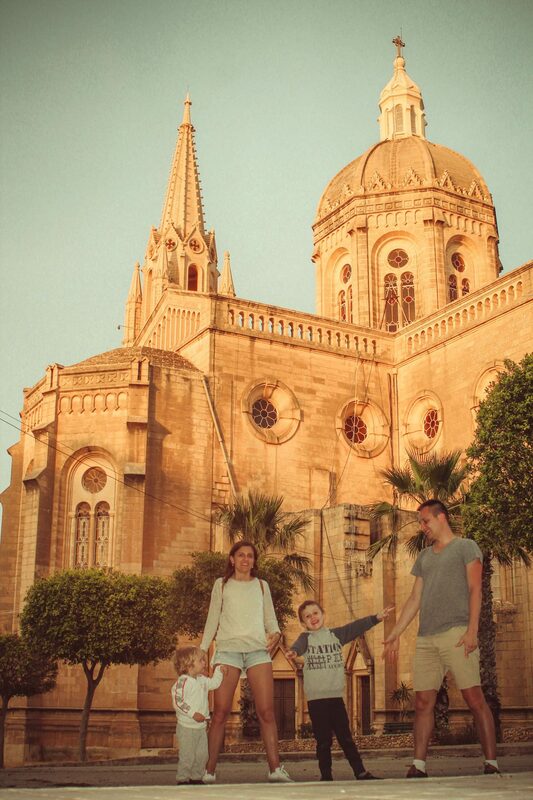 Gozo can provide some climbing along some exciting routes, discover beautiful sunsets moments and to visit some stunning churches. 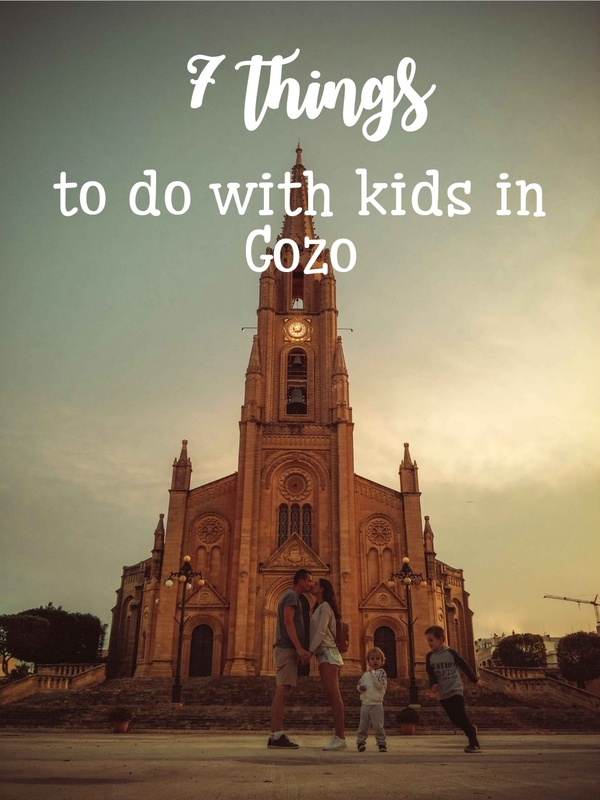 Today I am sharing with you 7 top things to do with kids in Gozo. 1. 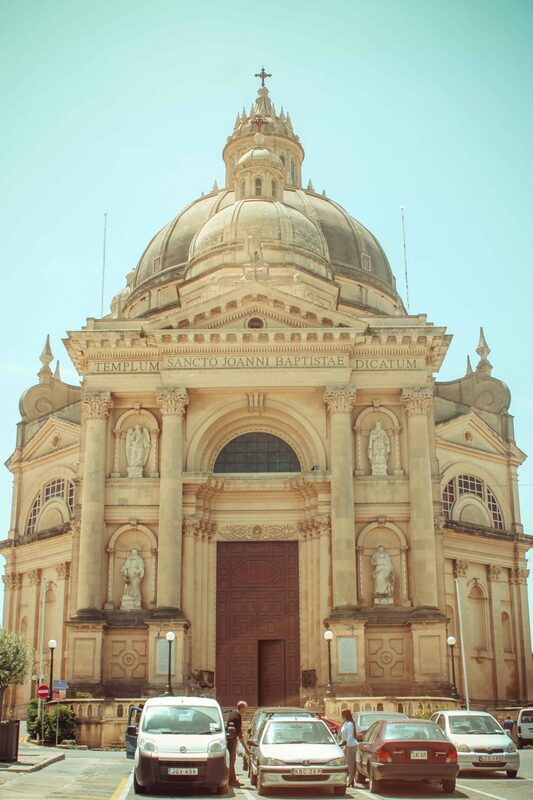 Take a ferry from Malta to Gozo and back. Ferry service from one island to another is very popular with in locals. It isone of the public transport that use mostly all the people. Because of that, the price of a ferry is really affordable for everyone. 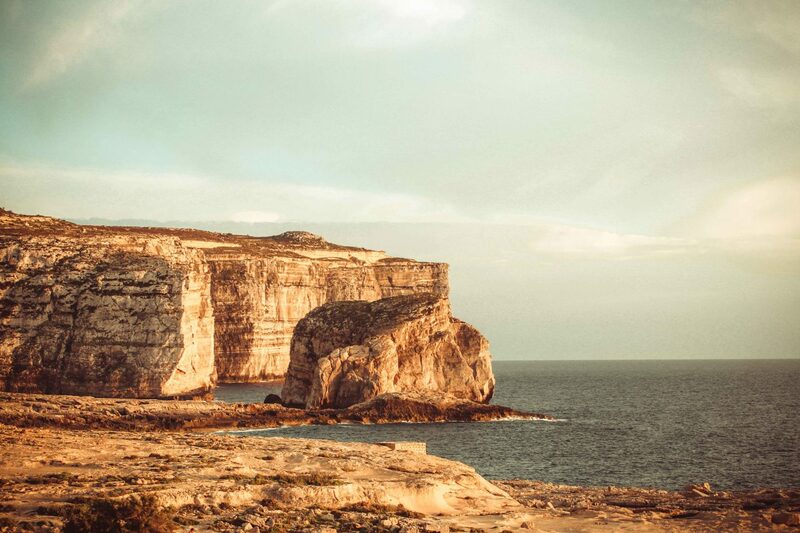 On our way from Malta to Gozo and back, we had seen all the splendour of the Gozitan coastline, with its rugged cliffs and secluded bays. 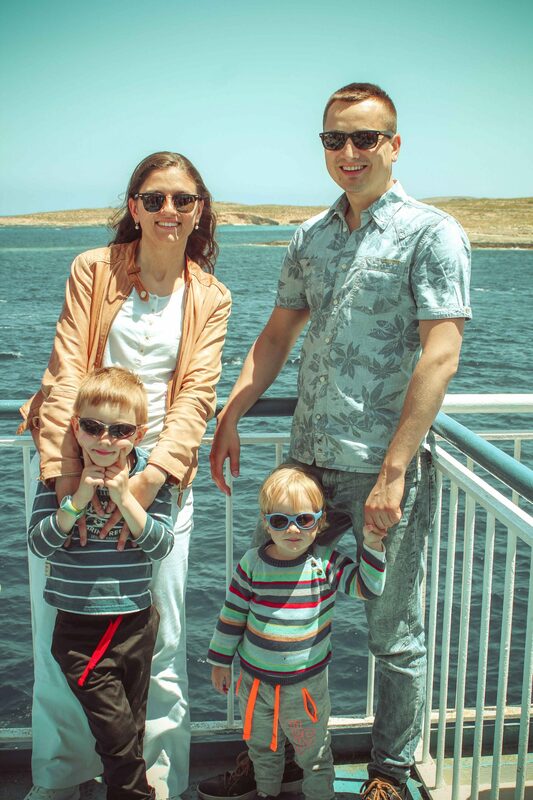 We saw blue waters of Comino and were really impressed with the view. 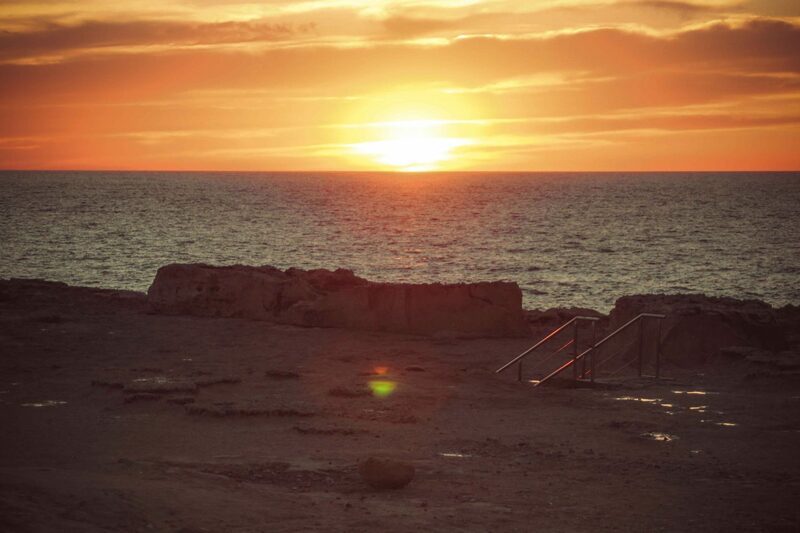 Those aspects of Gozo can only be appreciated from the sea. 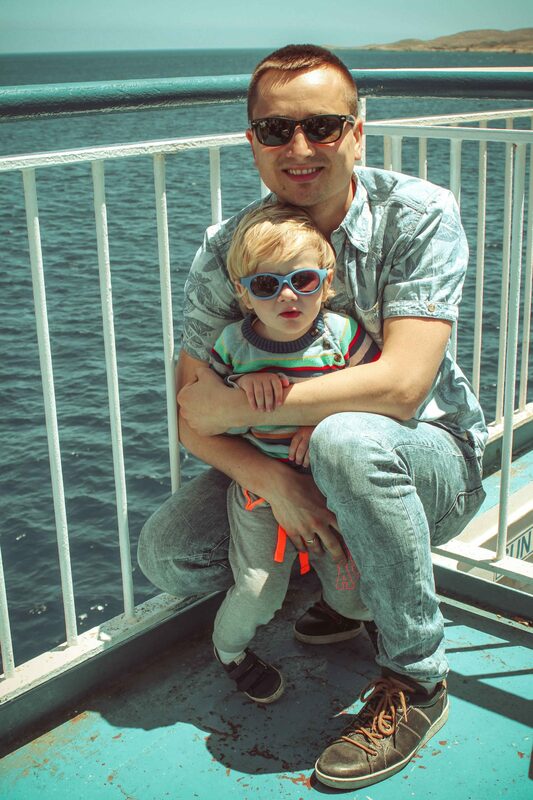 For kids it was an intense experience, as they never went on a ferry before. 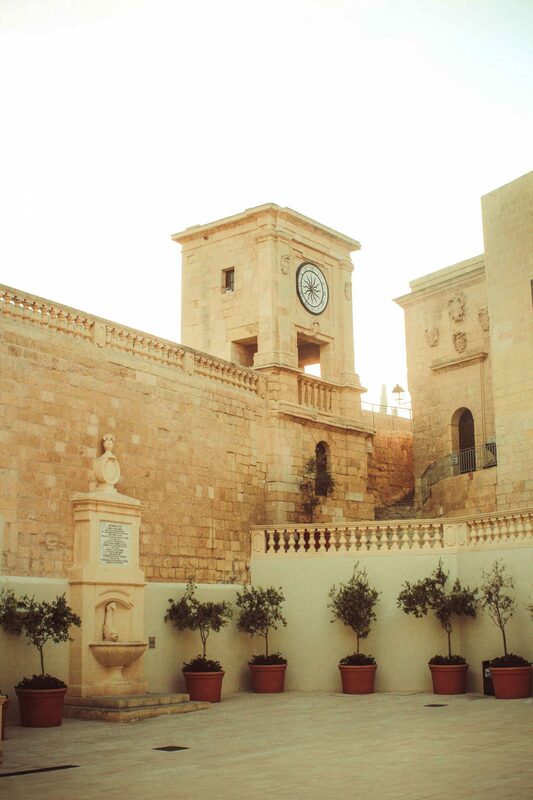 In one of the first evenings, we decided to take a walk within narrows streets of Victoria, the capital of Gozo. Once we got to the old part, we saw Citadel. It was not on our plan to visit it. But, now, looking back, I am really happy that we took time to visit it, and had some priceless views from above. 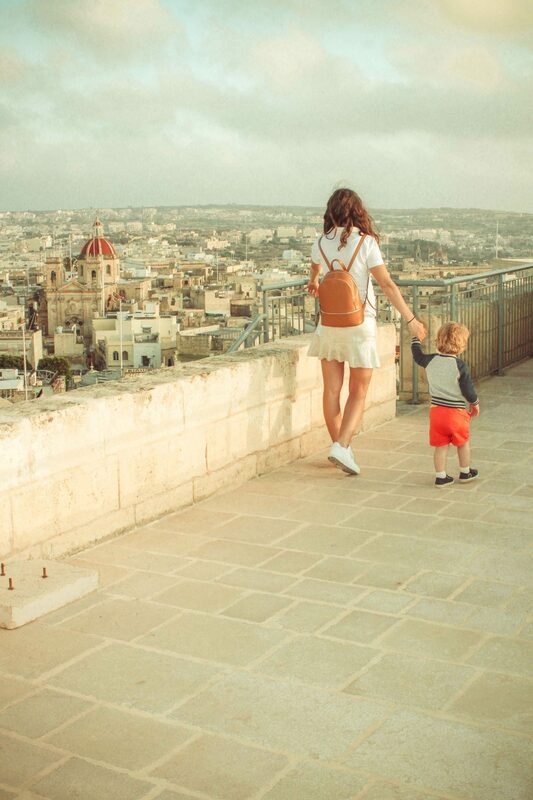 The biggest challenge is bound to be walking up the steep street that leads up to the Citadel but once you’re there you will be able to enjoy the place and walk around at your own pace. Citadel is amazing not only for the views it has from above, but also for its narrow streets, beautiful churches, and little shops that can be found. 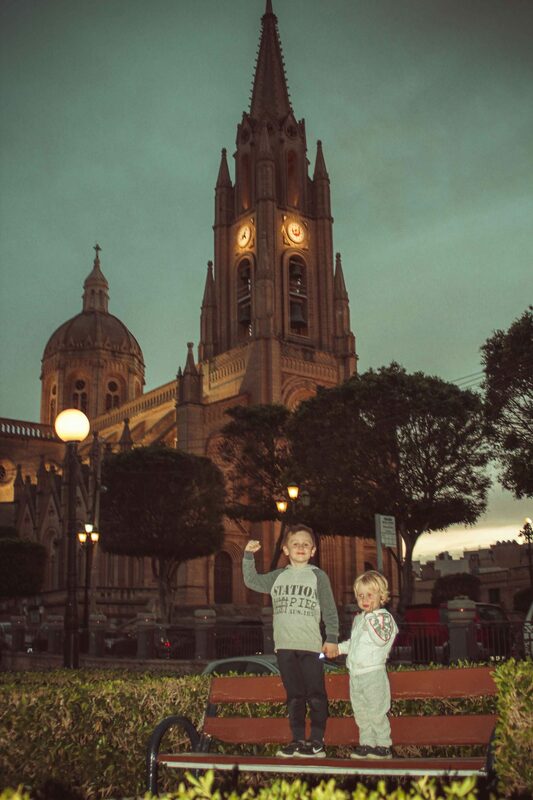 I am sure, kids enjoyed our stay there. As we went in May, and still a dip into water was not appropriate as the water was still cold, we loved the views. We came twice to this place, on our second time, was specially to have our breakfast time with views. The Cliffs are spectacular and if you plan to come in summer, then take the stairs down, as there is a special platform from which you can jump into water and swim. 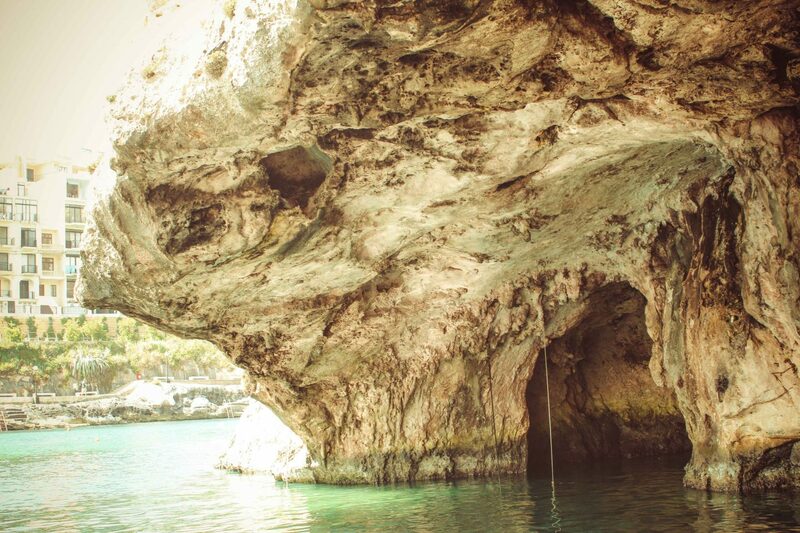 Then another perfect place for swimming is close to the cave. As well, there is a picnic are, where you can bring your food and enjoy the bay in the first row. Amazing, right? 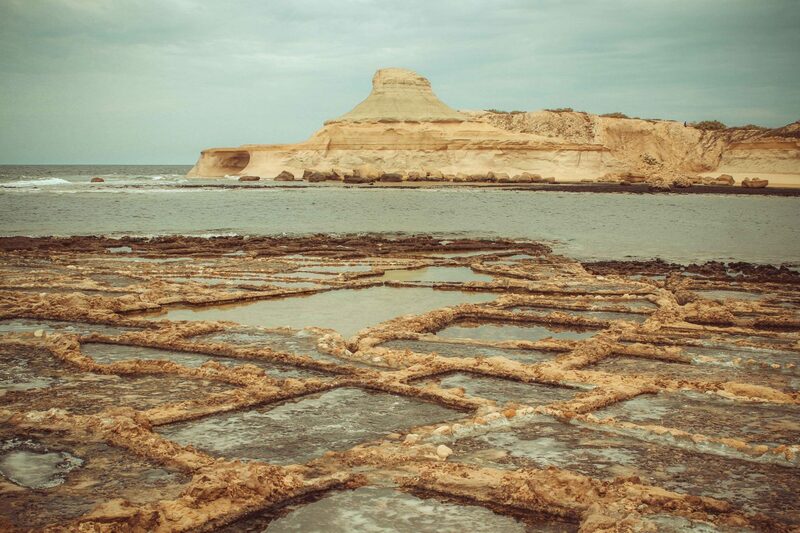 On the north coast of Gozo, just past Qbajjar Bay west of Marsalforn, there are outstanding place where are saltpans. 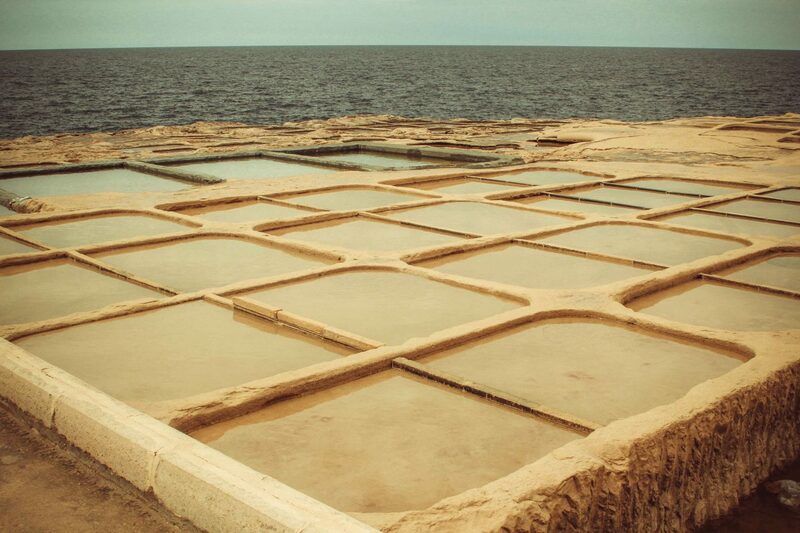 These 350-year-old salt pans, which stretch about 3 km along the coast, are more than just scenic. 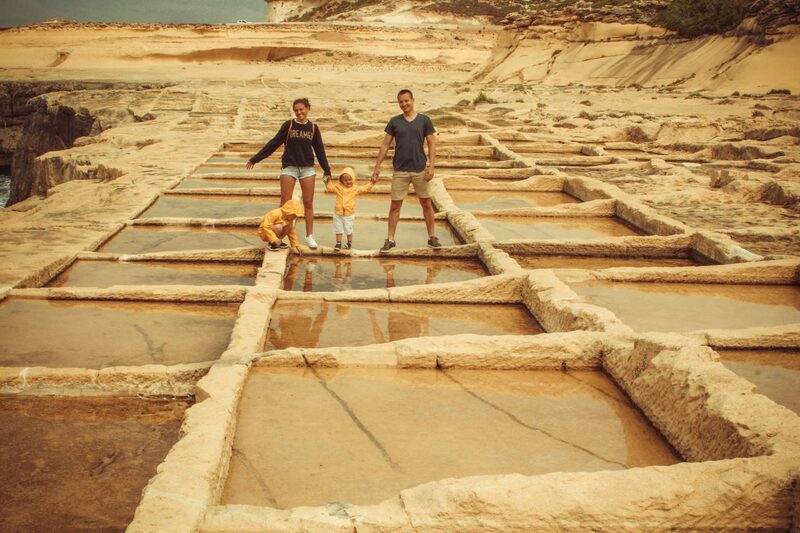 Salt pans are part of the centuries-old Gozitan tradition of Sea-Salt production that is preserved in some families for many generations. During the summer months, locals can still be seen scraping up the crystals of salt. 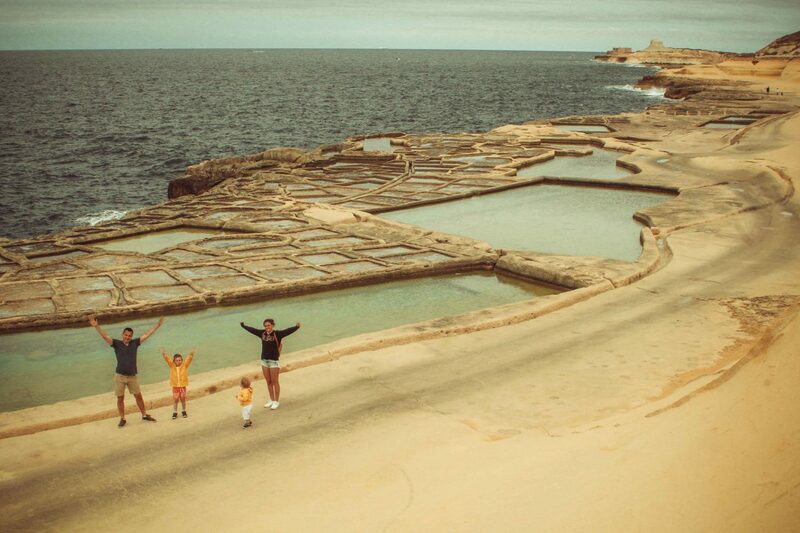 Once collected, the salt is stored and processed in the caves that have been carved into the coastal rock. The views are outstanding. 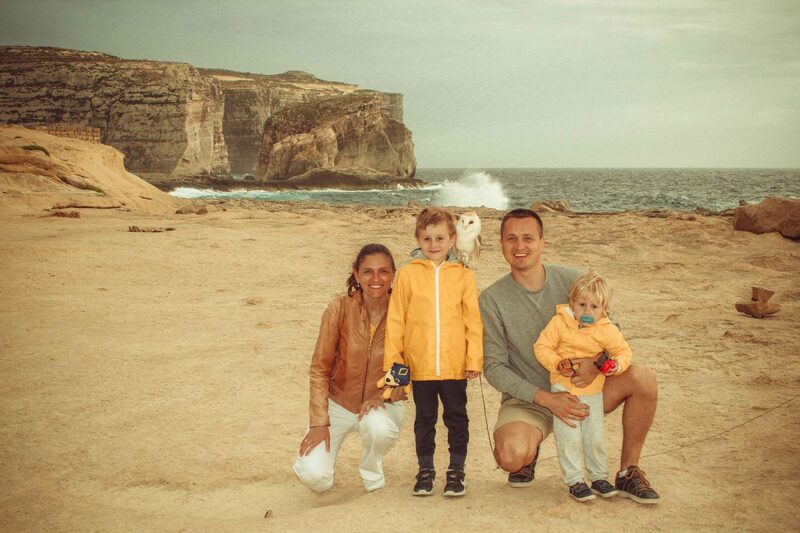 The Azure Window is the most touristy place I know from Gozo. 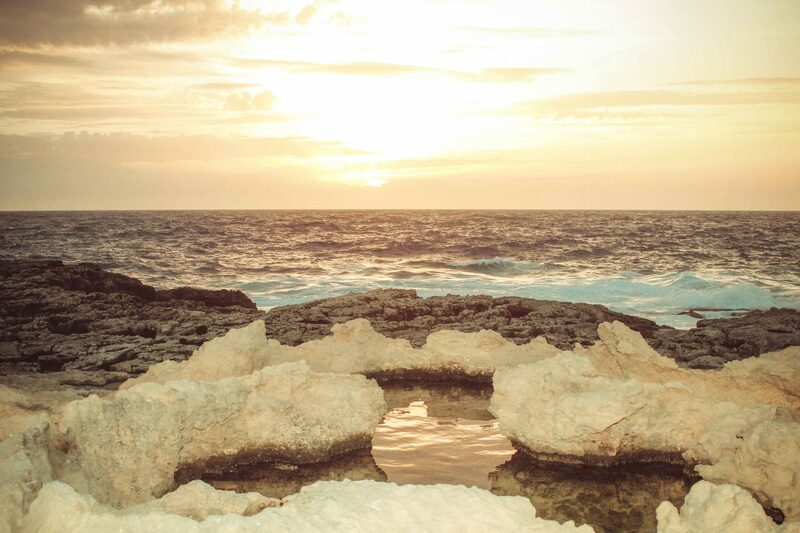 It is one of the places that really represent the island The Azure Window is iconic, massive arch landmark with its flat top over the sea at Dwejra, endured raging seas over the years, until the 8th March of 2017 when gale force winds and high waves swept away the whole structure. The views are impressive, even now, after it’s structure is broken. 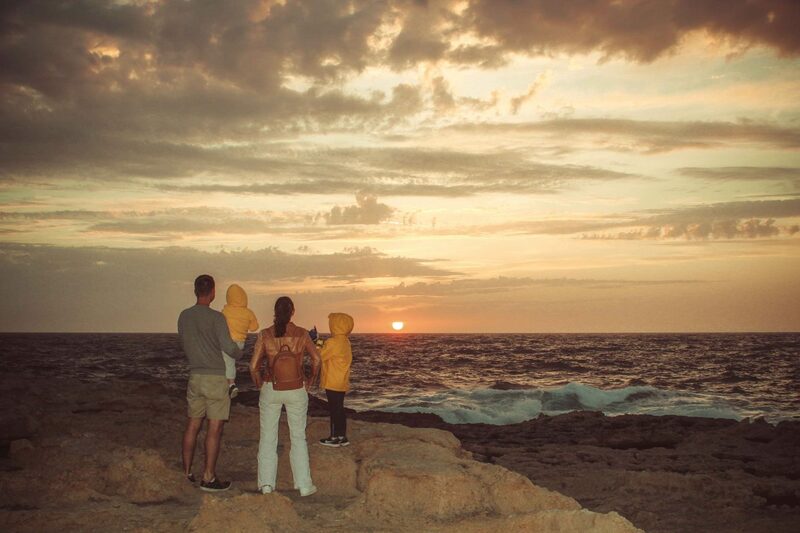 Then, we loved watching sunset at Dwejra Bay, it is another landmark, right there. 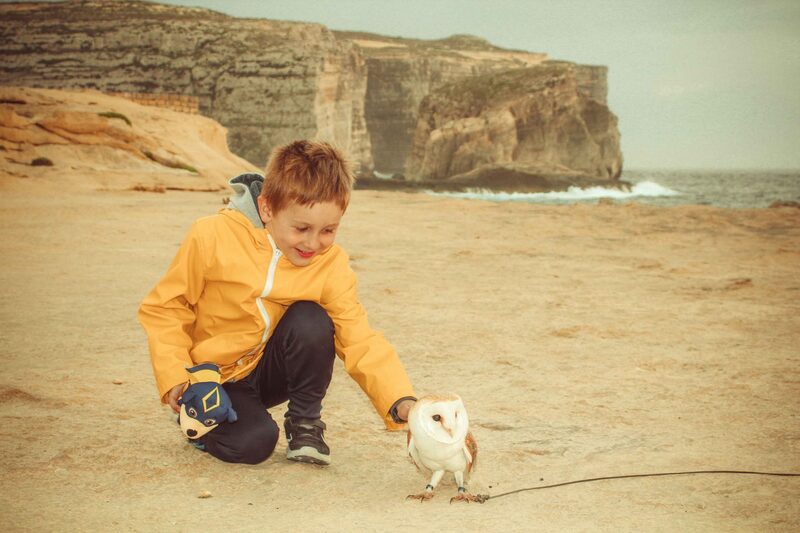 In one of the days, there was a man with an owl. We made some gorgeous pictures with it. This place is very popular within scuba divers. 6. 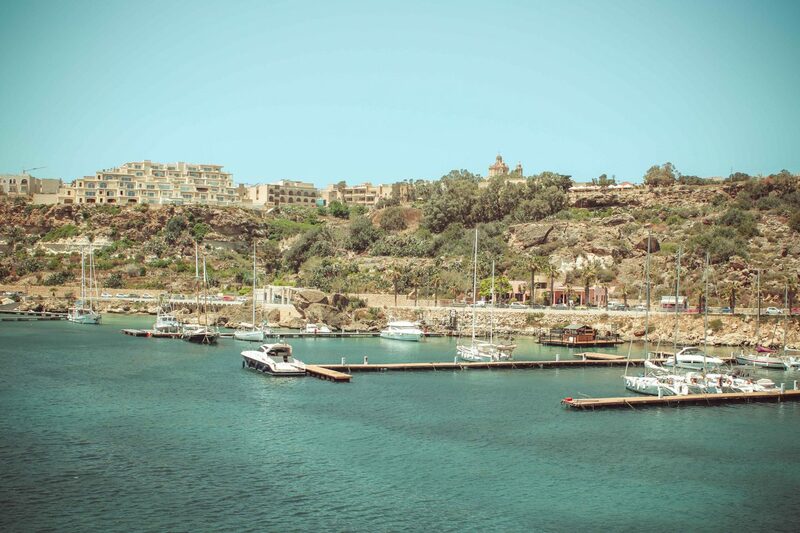 Take a boat to Comino island and enjoy turquoise waters of Comino. 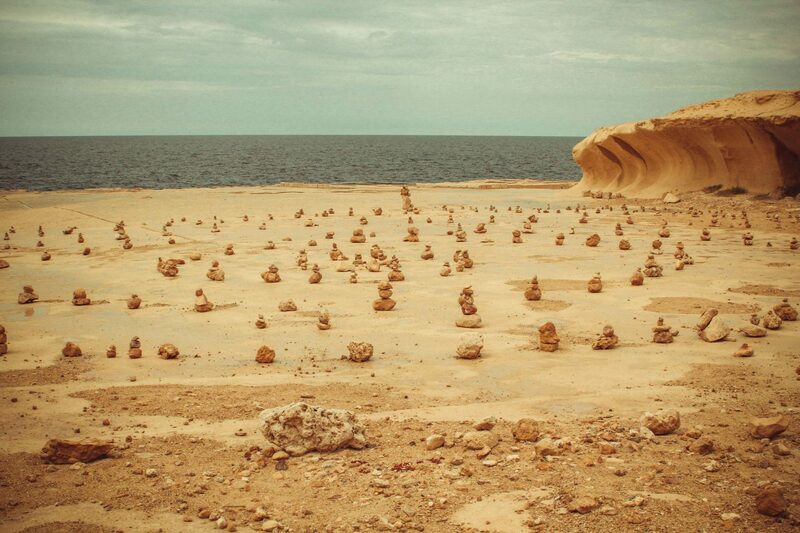 Comino is one of the smallest islands of Maltese archipelago. It is famous for its Blue Lagoon, the turquoise waters that are there. 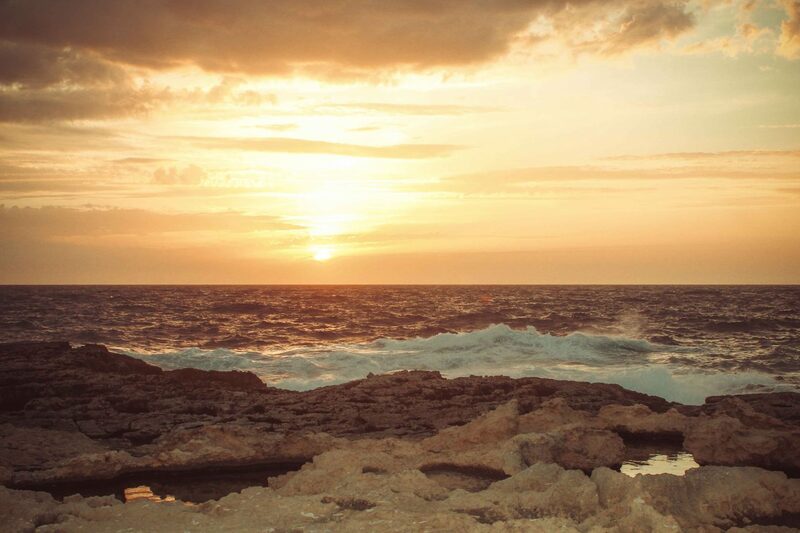 Every hour there is a ferry from Gozo to Comino. 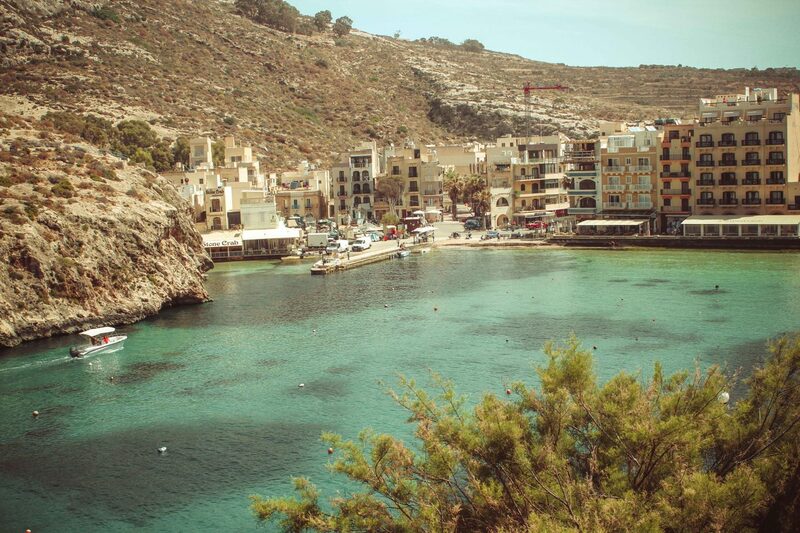 We took one at Mgarr Harbour, Gozo, we headed to the Blue Lagoon where we swimmed in the crystal clear water. It was really cold, but such water made us brave to take a dip. It is an excellent place for snorkeling. There are walking options to discover the island, but we missed it. 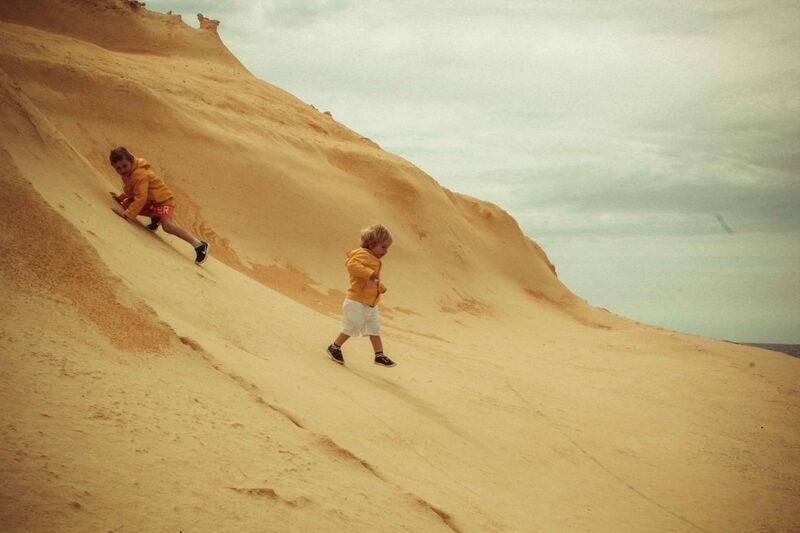 With kids we thought hiking would be really difficult. 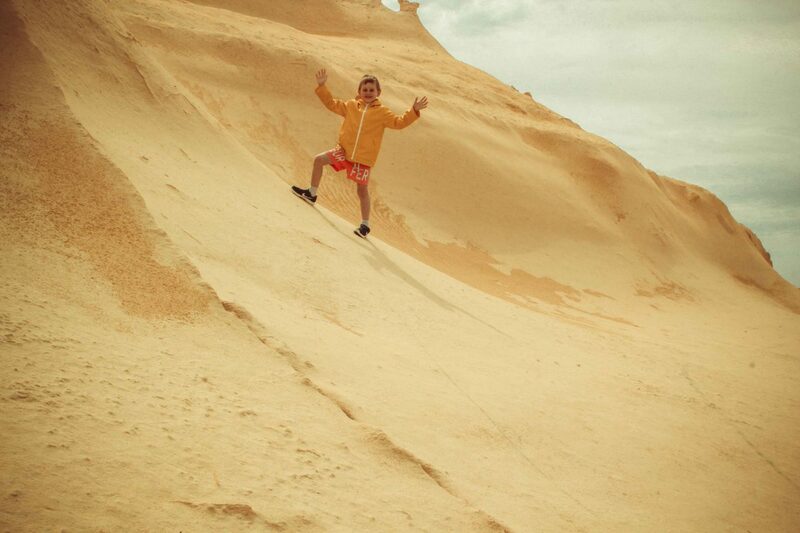 In any case, the views from the top are very impressive. 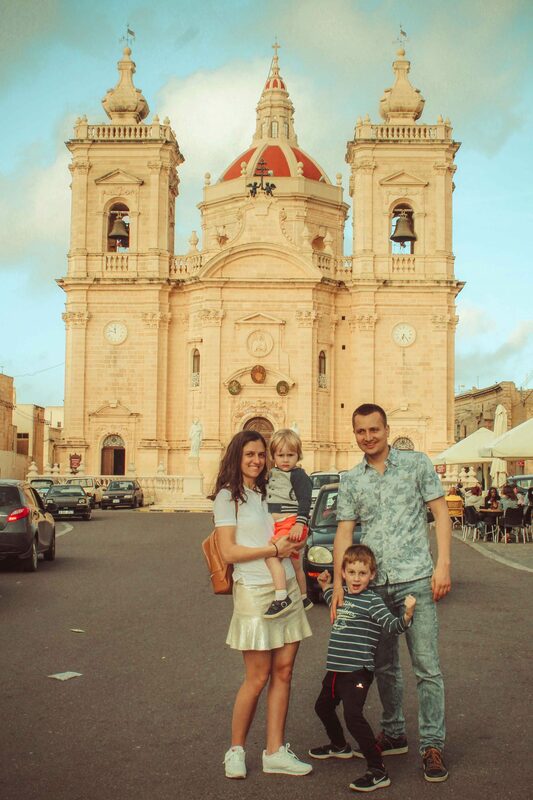 If we did not have any plan for the day in Gozo, then we went visiting small villages and its beautiful churches. 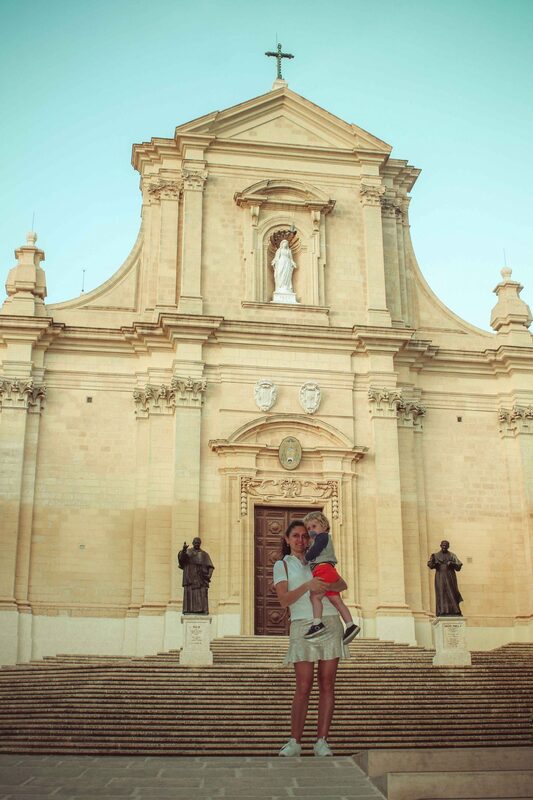 Unlike Malta which is primarily an urban island with patches of unspoilt countryside, Gozo is rural with patches of habitation, much of it in traditional villages. Each village has a church at its centre, usually in an attractive village square of traditional limestone houses, perhaps with balconies of carved stone or painted wood. 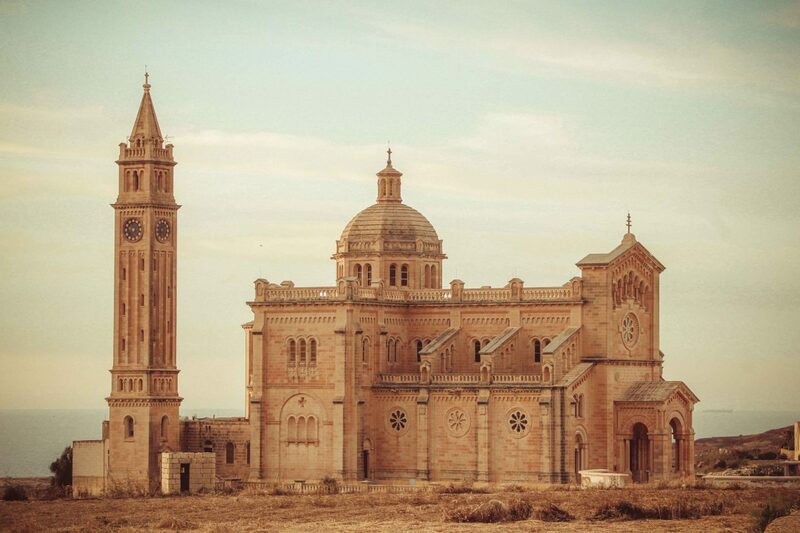 Gozo’s villages are peaceful places to travel back in time, slow the pace and recharge your batteries. 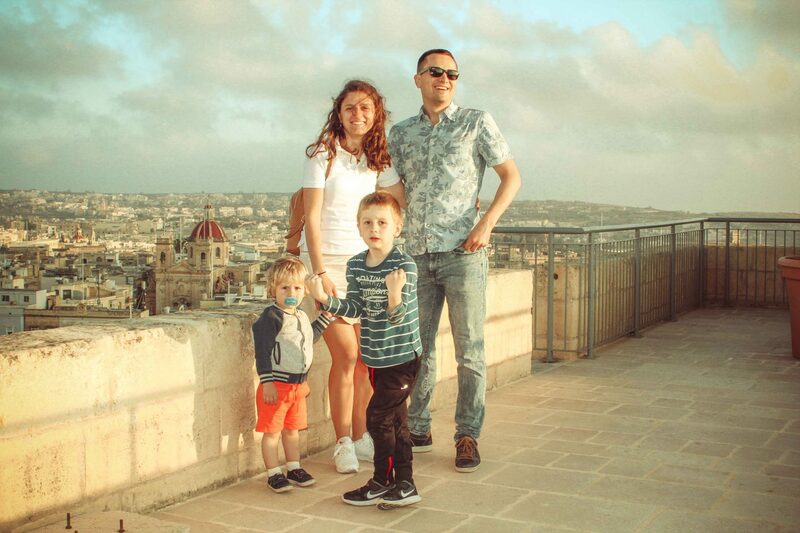 Kids enjoyed our stay in Gozo, the place is unique and is not touristy still. So, what are you waiting? Previous Post Austria Tourist Board – Press Brunch.